Zinc oxide is a white, powdery mineral that is used for making plastics and other textiles. It also appears in some cosmetics. This mineral is not soluble in water, but it does dissolve in acidic environments. 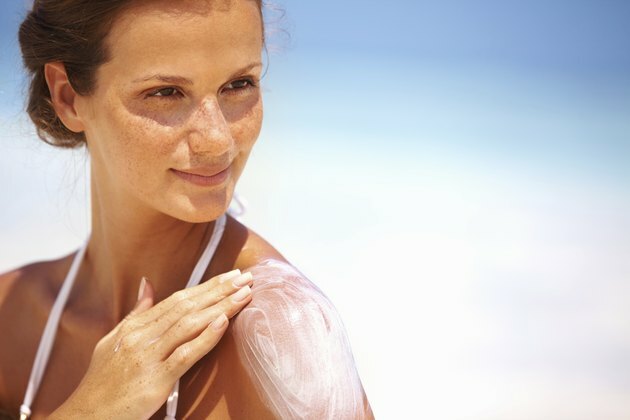 It is known best in the United States as a primary ingredient in sunscreen lotions. When applied topically, zinc oxide offers several important benefits for the skin. Lotions and creams containing zinc oxide are effective skin astringents, says Dr. Syrett. You can apply zinc oxide to keep excess oils from forming on the surface. It is sometimes used as an acne treatment -- it is believed to reduce the appearance of blemishes and reduce skin irritation and inflammation, reducing the number and severity of acne breakouts. Self Growth: Zinc Oxide--How Does It Benefit Your Skin? Podiatry Today: Can Zinc Oxide Have An Effect On Wound Healing? What Are the Benefits of Zinc Gluconate for Skin?